Popcaan supports his popular slang “Trouble Deh Deh” with a brand new track. The Dancehall entertainer has been making rounds on social media since last year with his “Trouble Deh Deh” slang and now we have a gritty soundtrack. Popcaan dropped the song on Friday in collaboration with Dunwell Production and his Unruly Entertainment record label. 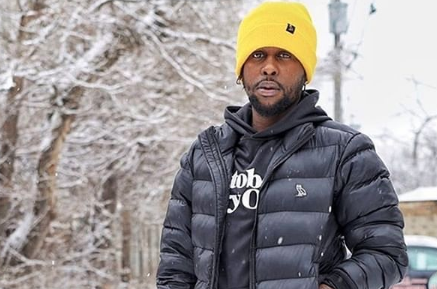 “Bwoy them stink just like them breathe / Them diss badman and meet them death / Them affi call for Madden when me raise the Intratec / Anywhere the Killy them deh trouble deh deh / Hmmm Hmmm you know trouble deh deh,” Popcaan spits over the beat. Popcaan has released a handful of track since the start of the year and he isn’t showing any intentions of slowing down. The new OVO member’s recent tracks include; Unruly Estate, Level Up, Unstoppable, ReDress, Trigga Play, Heart String, Best/Blessed and Unruly Law. Stream Popcaan new song Trouble Deh Deh below.